Q: Why is rebranding important after 20 years in business? What is Metris all about? 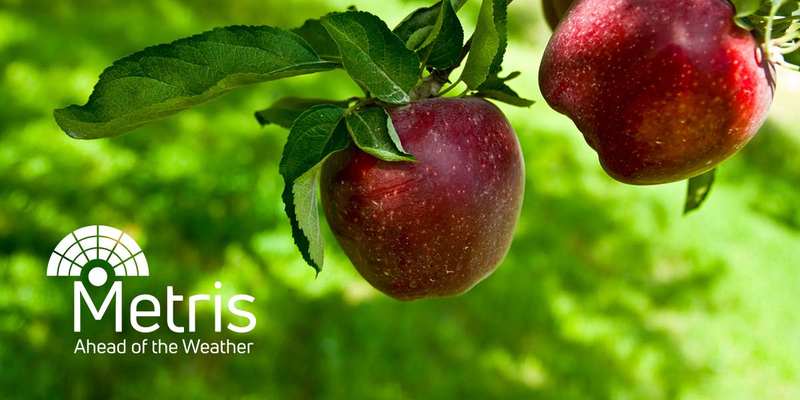 Metris has been providing weather services across New Zealand to clients in horticulture, agriculture and industry for over two decades. 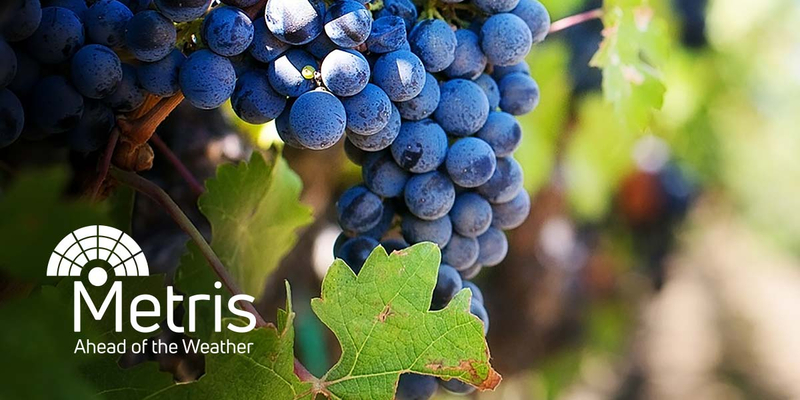 Over the years they have built up a large list of clients involved in fruit growing, viticulture, cropping, farming, construction and extraction, who all subscribe to their expert services. Their services include forecasting, weather station networks and consulting. That might mean seasonal climate reports, real-time forecasting or alerts for frost, rain, wind and temperature. Their goal is to provide fast, accurate data in an easy to read format to help clients to reduce their weather risk and plan their time effectively. Sometimes companies rebrand because of a strategic change of direction or diversification and sometimes competitors have a part to play. In this case, the prompt was a change of ownership. A change of ownership during mid 2017 prompted the new CEO of Metris to consider rebranding the business. Older ways of providing data needed updating, new technology had to be introduced and new staff joined the team. The business value proposition was evaluated and a strategy to grow the business was established. 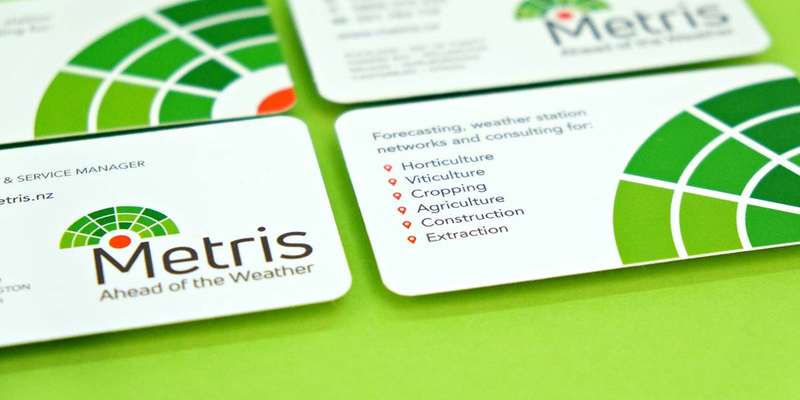 All of this meant that Metris needed to communicate positive change to their current and future clients. 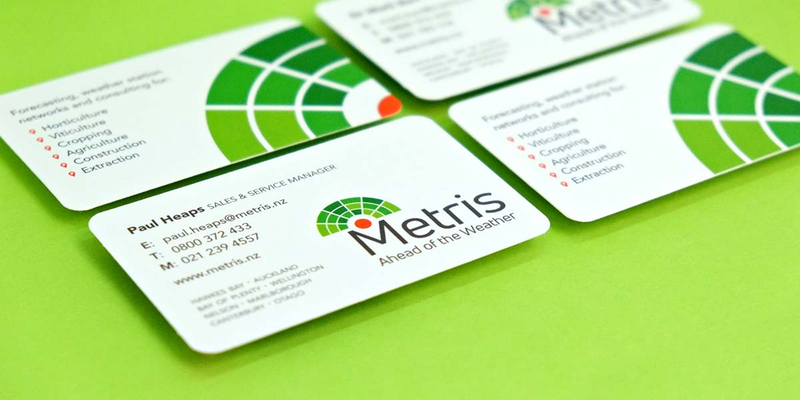 Angle was approached for help by the CEO of Metris after he had seen Angle’s branding skills in action first hand during his time with another company. We combined a graphic representation of these elements and spotted an opportunity to cleverly use some negative space in the capital letter M of the company name. The map pointer is suggested by negative space but once you’ve seen it, you can’t miss it.